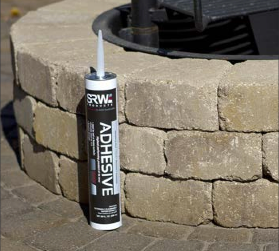 SRW Adhesive has proven its performance in countless hardscape projects throughout the United States and Canada. Contractors love it and ask for it by name. Our Adhesive formula has been a foundational piece on which we’ve built our business. We proudly offer this cornerstone product to you, knowing that the strength and reliability has been time tested and proven. Available in 10 oz. and 28 oz. 1/4" Bead 32 ft. 89 ft.
3/8" Bead 14 ft. 35 ft.